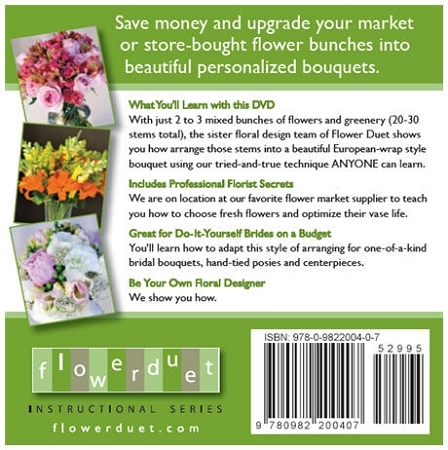 Our easy-to-follow instructional series is perfect for beginners and will give you the confidence to be creative with flowers available daily at your local grocery or farmers' market. The Solution for what to do with those flowers you buy every week at the grocery store - but don't know how to make them look "cool." First, the sister team of Flower Duet, Casey and Kit, take you on location to their favorite wholesale flower vendor and show you how to choose only the freshest flowers – just like they do for all their clients in person! Then, it’s back to the design studio where we show you how professional florists prepare flowers to optimize their vase life. 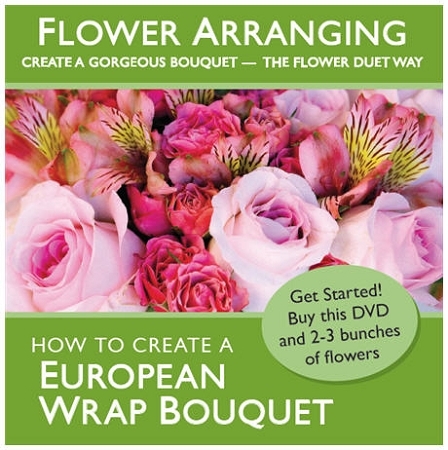 In addition to tips on color and flower choice, we teach you the easiest and most adaptable way to create a hand-tied European wrap bouquet using three different sets of flowers.